Posted August 21st, 2013 by alexa & filed under Weddings. I love all my photography sessions for so many different reasons. 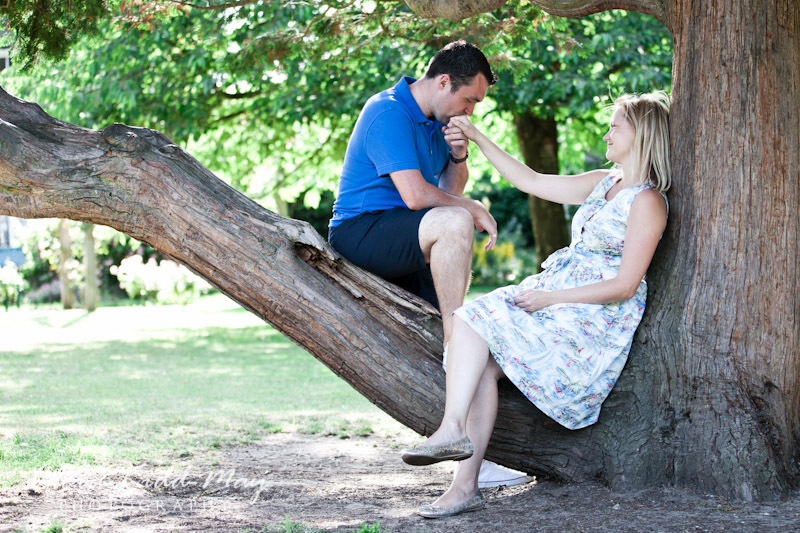 However I particularly loved this Engagement Shoot in Merton, London for an extra special reason. You’ll find out what this is later. 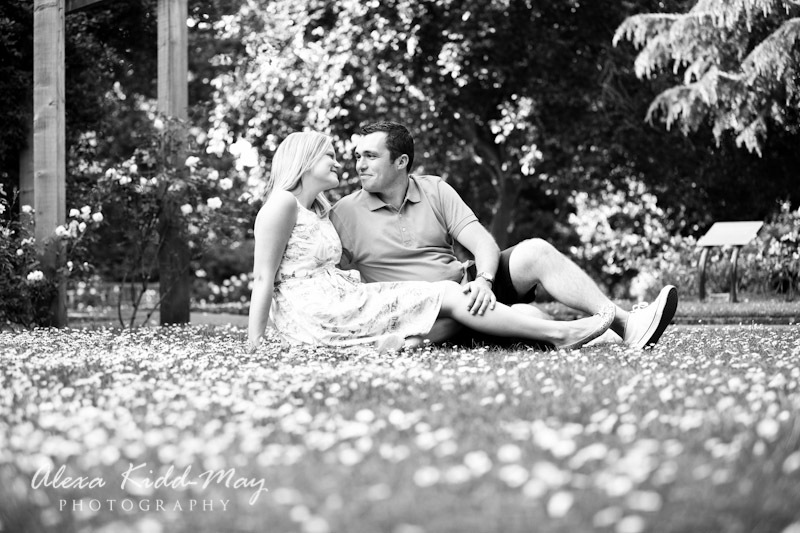 The engagement shoot is a great chance for the couple to relax and get comfortable in front of the camera. It’s also an ideal opportunity to chat about all the details for the upcoming wedding day. Furthermore I really enjoy finding out more about how they first met. 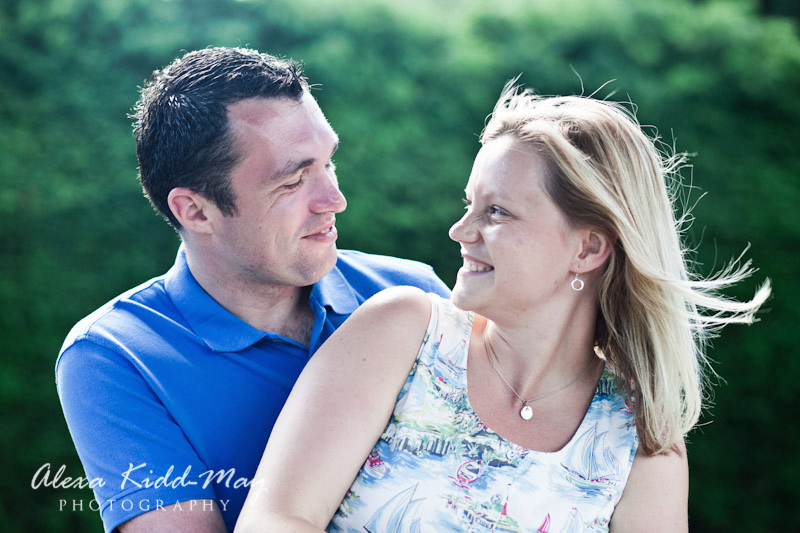 It’s lovely to hear how the couple fell in love and how the proposal happened. 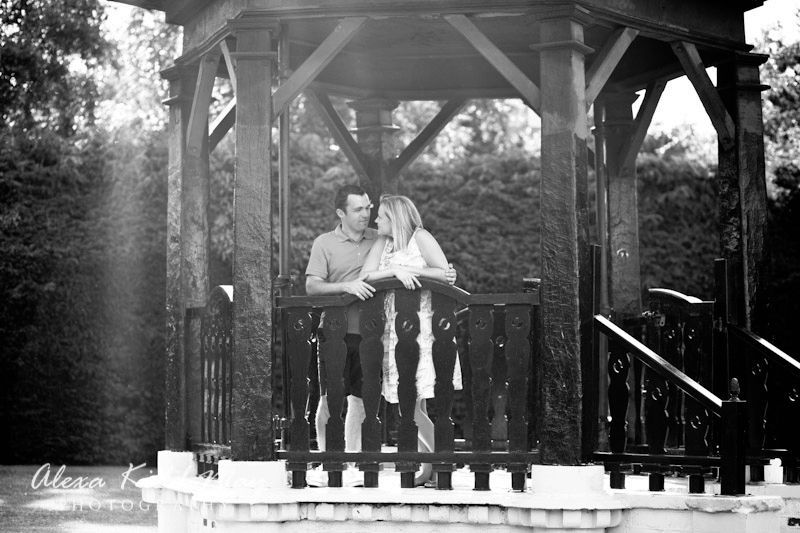 Call me an old romantic but I was delighted when this future bride and groom chose to have their engagement shoot in the place where Matthew had proposed to Faye. The actual moment took place in a bandstand in a park in Merton. We wasted no time in going back to that lovely spot where the wedding day story began. 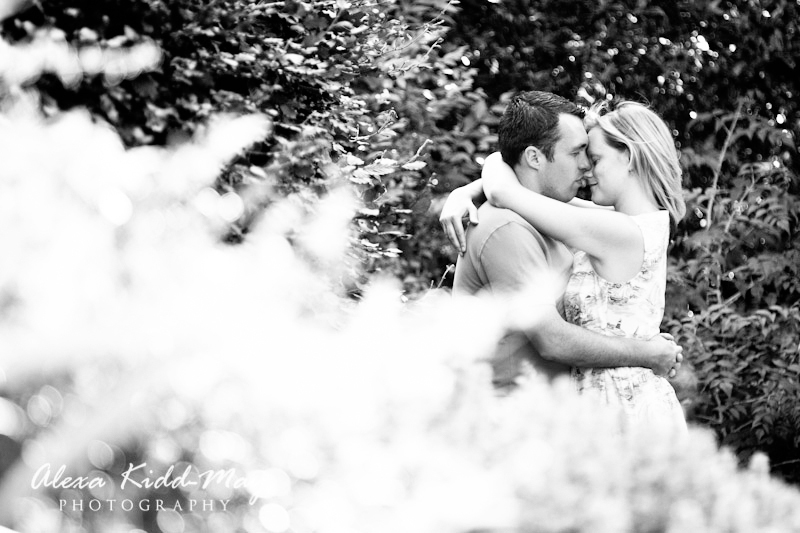 It was such a wonderful afternoon wandering around this engaged couple’s local park. 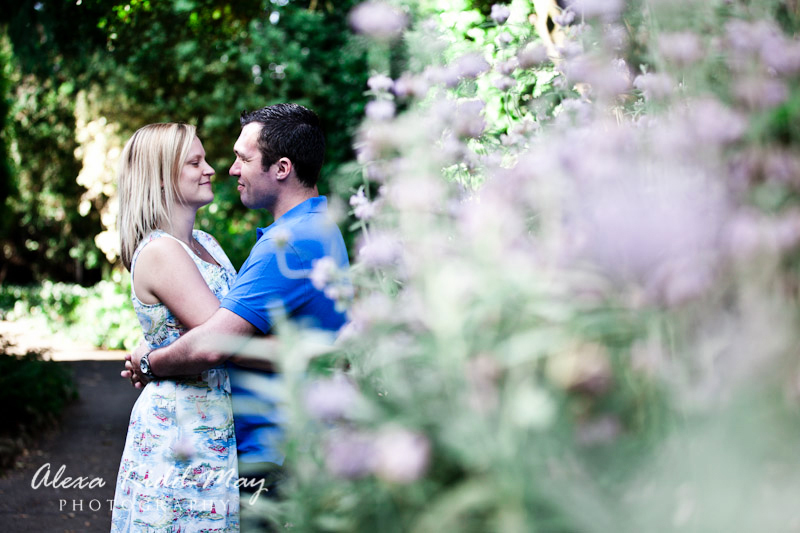 We took some lovely portrait photographs in their favourite places as they told me how it all began. Some of the best shots are taken when the couple just focus on themselves and forget I am around. I like to remain as discreet as possible, adding a little direction here and there. We get to try lots of different situations that may come up on their big day. I can’ wait for their Wimbledon Wedding! Strangely enough, it’s not just about the photographs themselves, it’s also about getting to know each other. 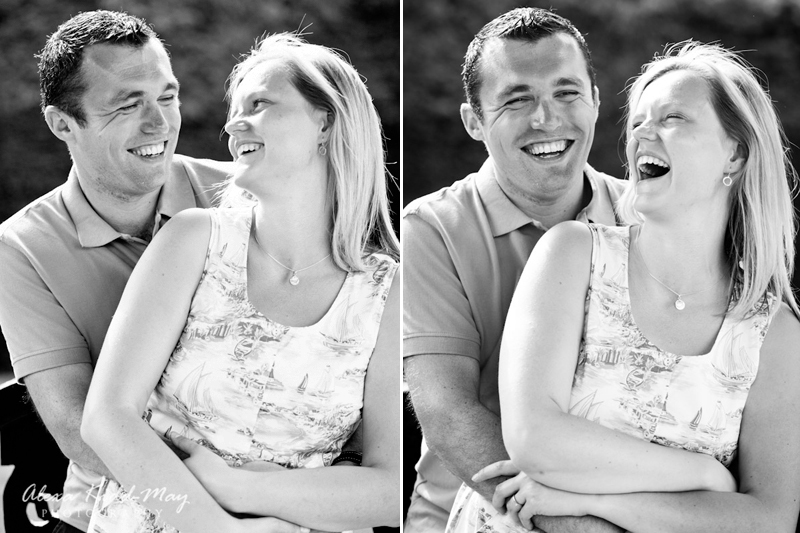 I love to capture a few tender or amusing images as they enjoy the time together. I can’t wait to capture the romance of their big day soon. They are getting married in nearby Wimbledon and after spending a couple of hours with the lovely couple I just know it’s going to best wedding day! If you’re looking for a London Wedding Photographer or would just like to book an engagement session please do get in touch on hello@alexakidd-may.com or 07813 816335.